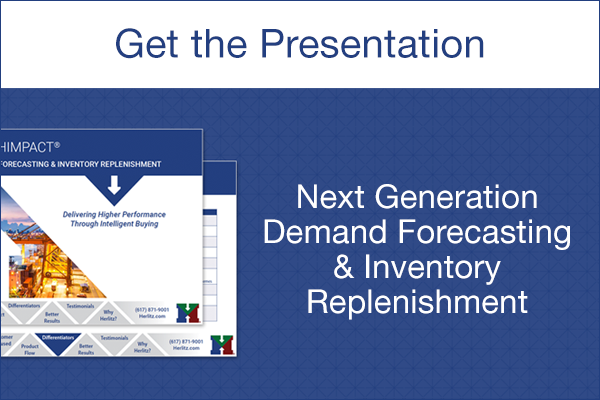 Optimized Replenishment decisions are based upon balancing multiple factors and the ability to dynamically adjust to changes on a daily basis down to the location/ SKU level. This is true whether you are replenishing a distribution center, a retail store, or a hospital pharmacy. Optimized buying decisions are based on a sound understanding of customer demand, vendor performance, and the ability to understand and optimize the economics of the products you sell. 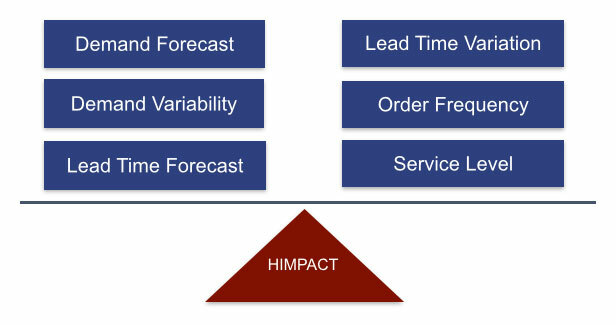 HIMPACT’s unique forecast, service, lead-time and inventory optimization models reliably balance the relationship between inventory and customer service, identifying the right inventory levels to truly deliver your customer service to your targeted levels. Inventory Replenishment is about protecting the customer service objective first. HIMPACT looks at every item, every night and determines the projected service attainment and predicts when it will need to buy to meet that service goal. The Replenishment Engine then rolls this up to the next level, depending if it is DC or store replenishment, and gives the same determination of when to buy. Daily, HIMPACT highlights all orders that should be placed today. You can also see any order that it projects will be placed tomorrow, the next day, or in 20 days. Each order is placed as late as possible (Just in Time) to protect customer service. The replenishment engine rebalances order quantities so that the next order will be placed as late and as easily as possible (naturally, we take Economic Order Quantities into account here as well). What do we mean by easily? Each HIMPACT order quantity decision “rebalances” the product line in a way that all the items should need reordering at the same time the next time the order point is reached. All while respecting your network parameters for service and profit, along with meeting vendor and transportation requirements. For more on DC replenishment click here. For an overview of store replenishment click here.